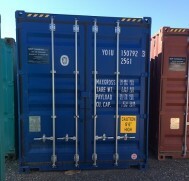 MAF Containers Pty Ltd is based on 42 years experience in the Maritime Industry, incorporating sale hire engineering and marine surveying maintenance and heavy engineering for the Petrochemical, Mining, Gas, Rail, Motor and Shipping Industry on and offshore and the managing of shipping container depots in Australia for 14 years, incorporating intermodal operations with major International carriers. In the domestic market we will offer the most competitive rates and will not beaten on price. 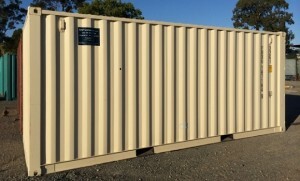 The containers we sell and hire are 10ft units 20ft and 40ft standard general purpose containers 20ft hi cube and 40ft hi cube containers 20ft and 40ft hi cube refrigerated containers. 20ft ISO tanks 20ft and 40ft flat racks 20ft and 40ft open tops. Honesty and loyalty to our customers. Deal with the decision makers. Copyright MAF Containers © 2014. All Rights Reserved.